Lots has been going on over the past few weeks… final PCB designs have been sent out for production. 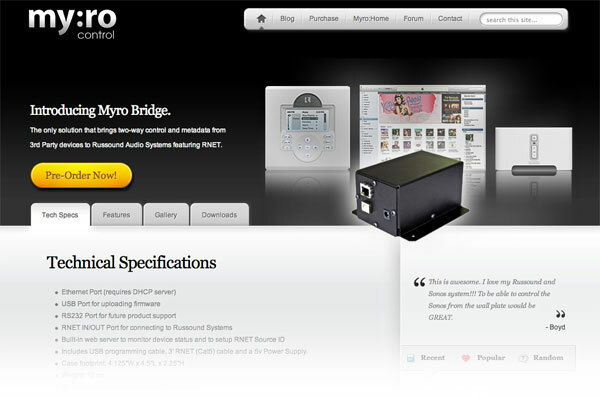 A new product web site is reaching completion leaving final assembly and testing left before I can start shipping the Myro:Bridge (that is going to be the final name). 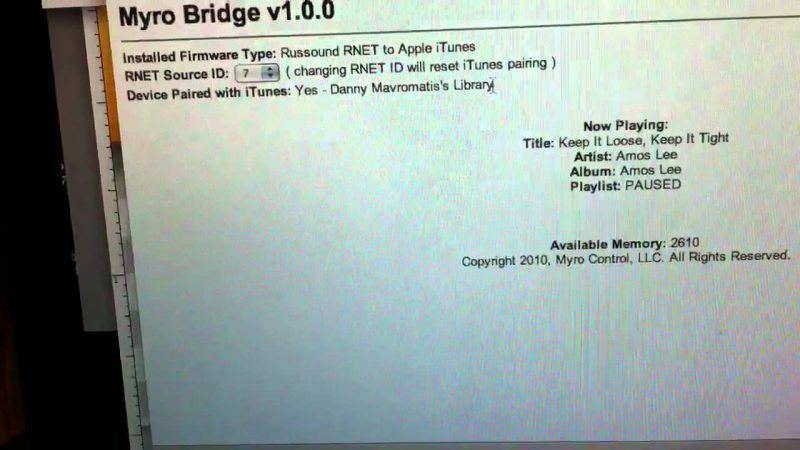 As promised, I have a video of the newest firmware which offers Russound RNET to Apple iTunes control. This is like the Russound RNET to Sonos except that you can pair, control and get metadata two and from Russound Keypads via iTunes. Enjoy!